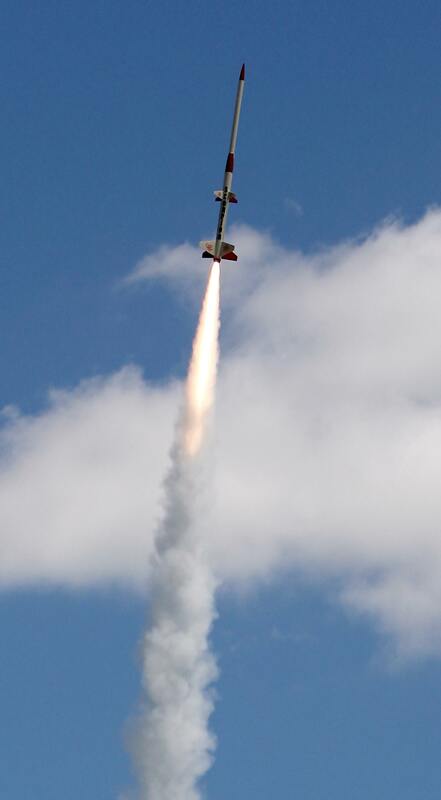 This great flight shot by Steve Trainor shows Andy Woerner's massive 1/7 scale Vostok during boost. 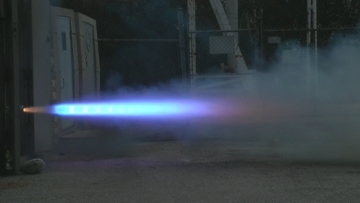 This 350 pound model was powered by a cluster of 20 Pro54® J and K motors; here 8 of the 18 motors ignited on the pad are still burning. 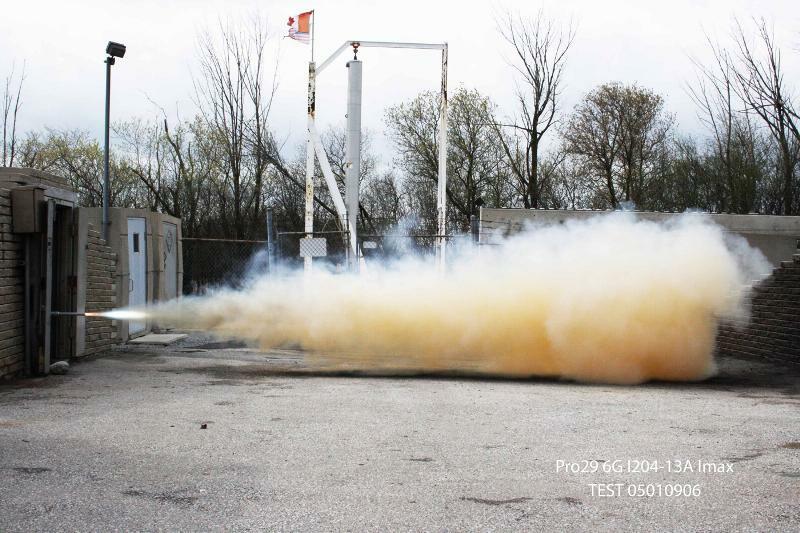 Pro54® Skidmark™ under static test at Cesaroni Technology Incorporated's Gormley, Ontario manufacturing facility. 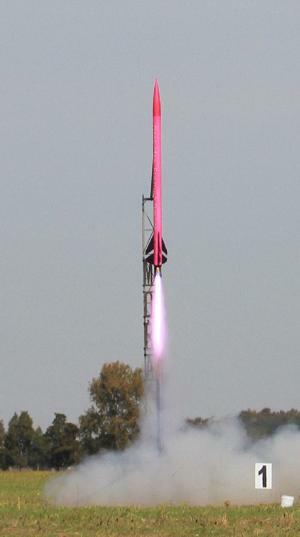 "Real Men Fly Pink Rockets" by Al Goer on a M1675 Pro75-5G Pink. Photo by Dan Michael. 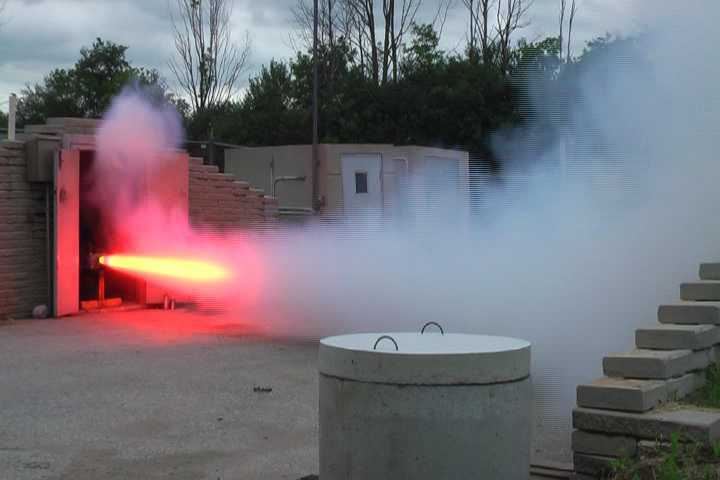 Pro75® Blue Streak™ under static test at Cesaroni Technology Incorporated's Gormley, Ontario manufacturing facility. Marcus Harmons "Gamerock" takes off on a cluster of three Pro38® I287SS motors. Photo taken by Randy Trotter at the Tripoli SC/ROSCO launch of August 2004. 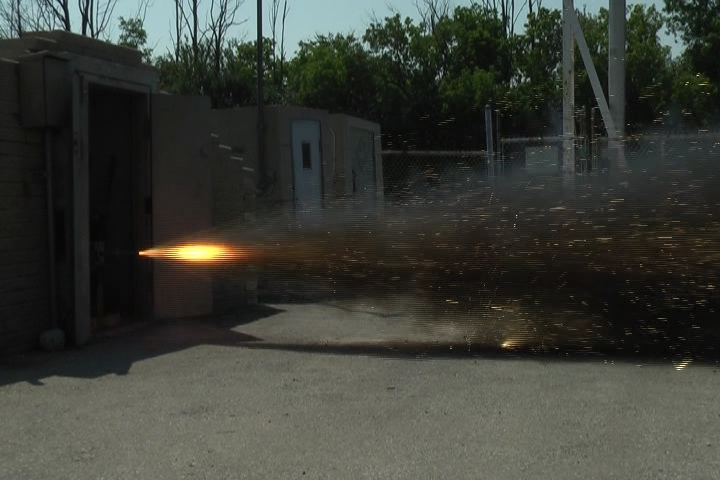 Static firing of the Pro150® O5100 motor using White Thunder™ propellant. Taken at Cesaroni Technology Incorporated's Gormley, Ontario manufacturing and test site.